Astrological houses describe a specific field of experience in the native's real life. They indicate how the person functions, whether in his interactions with other people, his work, or his love affairs, etc. 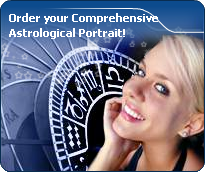 As with the 12 zodiacal signs, there are 12 astrological houses, and each house is in analogy with one of the signs. However, contrarily to signs, which spread invariably over 30 degrees of the zodiacal circle, house sizes may greatly vary from one house to the other. In these pages, Placidus is the selected system house for all the calculations. Associated keywords for this dominant house could be for example: everyday life in work, the colleagues, daily health, the taste to progress.